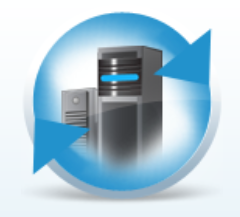 EMC Storage Integrator (ESI) for Windows is the ultimate set of tools to ease storage provisioning for the Windows administrator. 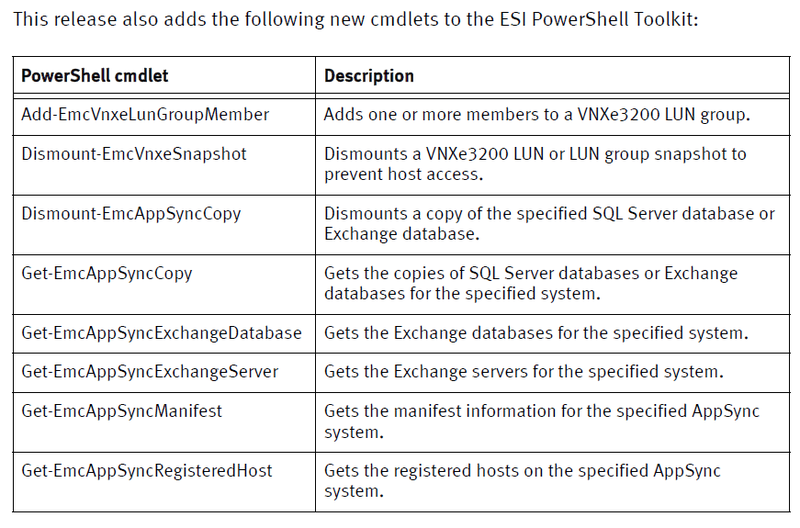 In addition, ESI will provision application level components (such as Exchange databases, SharePoint sites, and SQL databases). 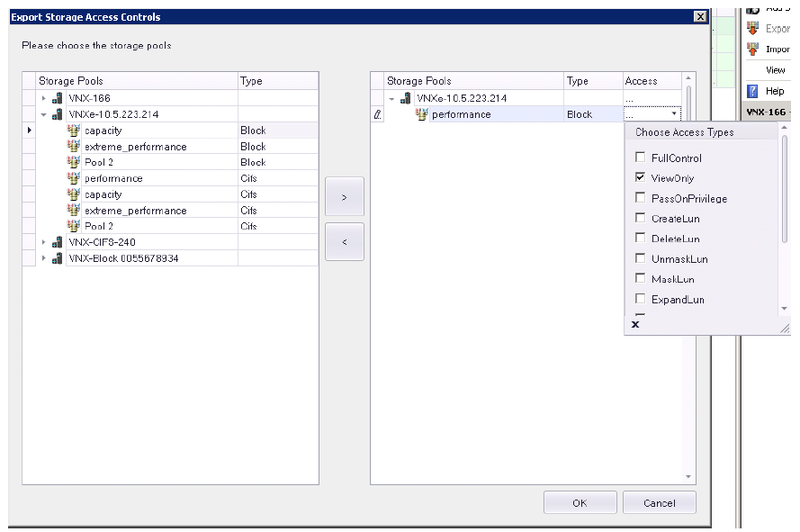 With ESI, the Windows admin will no longer have to wait for other teams to perform tasks on their behalf in order to provision storage for their applications. 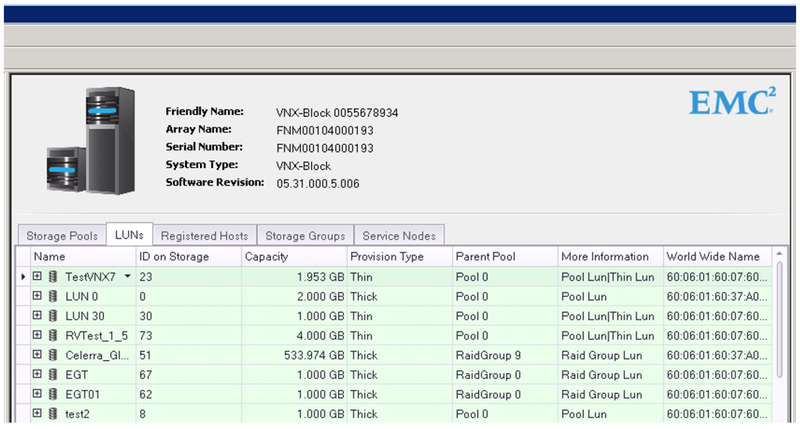 The Windows admin will use familiar tools (such as MMC, PowerShell, and System Center) to work with storage. 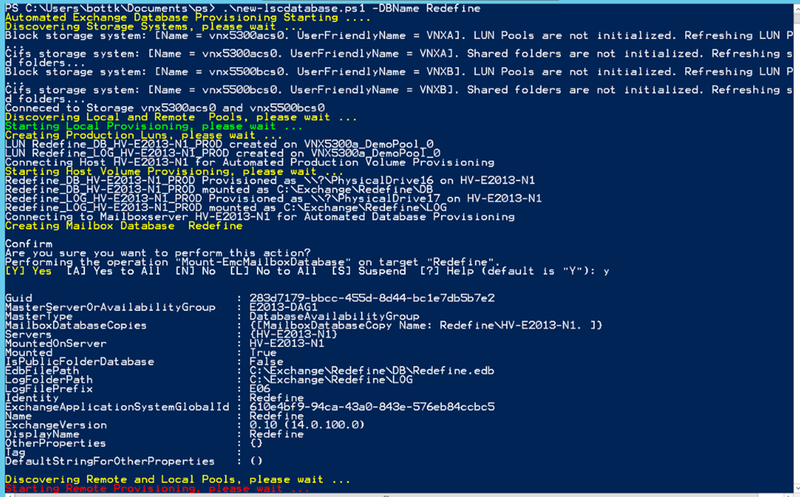 ESI combines the functionality of many desperate tools into one GUI interface and one set of PowerShell scripts. This will ease the learning curve and streamline the process for systems management. 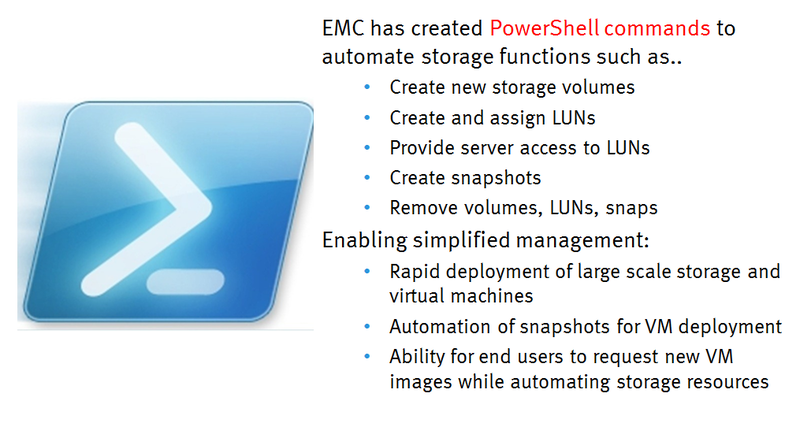 Should you be a PowerShell scripter, ESI includes a rich set of PowerShell libraries for provisioning and managing of EMC storage. 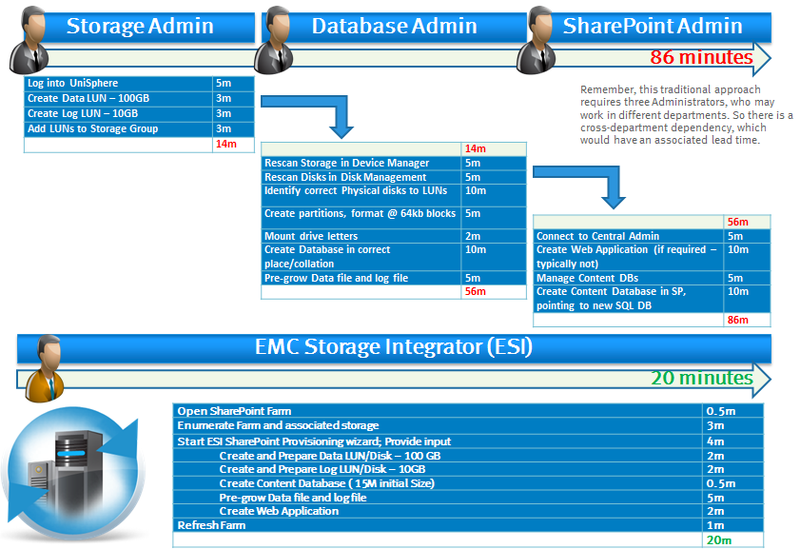 Best of all, EMC Storage Integrator (ESI) for Windows is at no cost..! 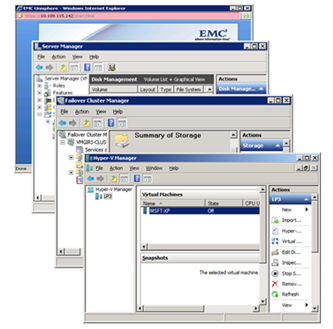 EMC Storage Integrator (ESI) for Windows Suite is a set of tools for Microsoft Windows and Microsoft applications administrators. 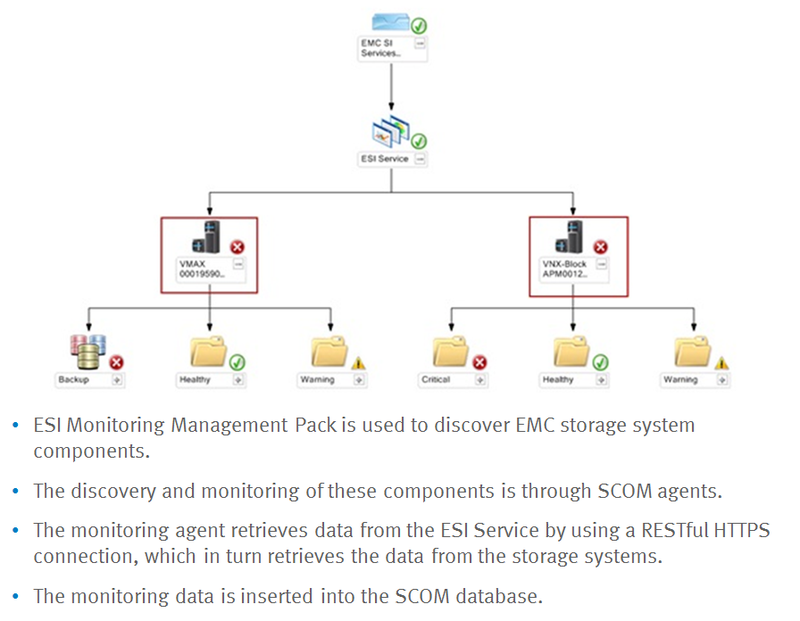 ESI for Windows provides the ability to view, provision, and manage block and file storage for Microsoft Windows, Exchange, SQL, and SharePoint. 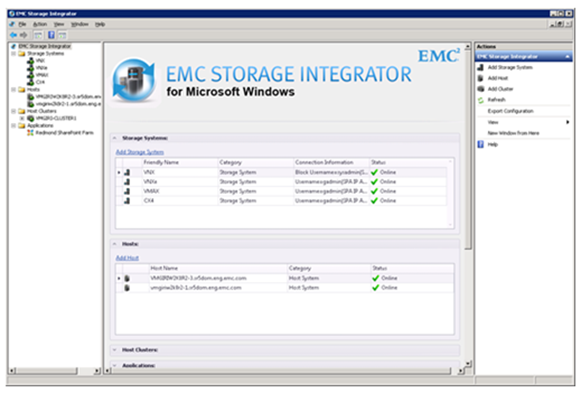 EMC Storage Integrator (ESI) for Windows has a UI based on Microsoft Management Console (MMC). 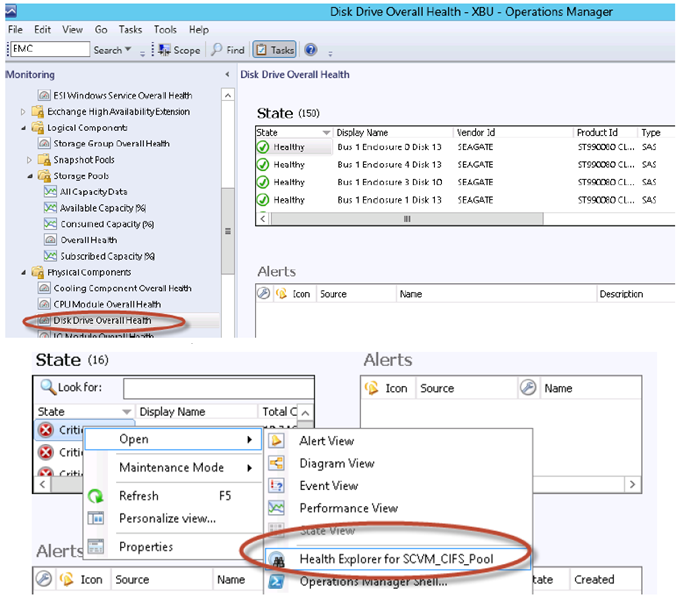 ESI can be run as a stand-alone tool or as part of an MMC snap-in. 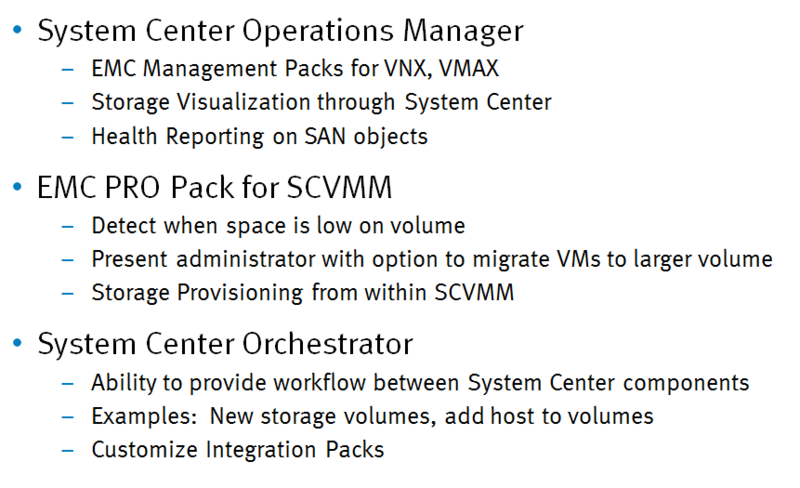 ESI supports storage provisioning and discovery for Windows virtual machines (VMs) running on Hyper-V, Citrix XenServer, and VMWare vSphere and vCenter. 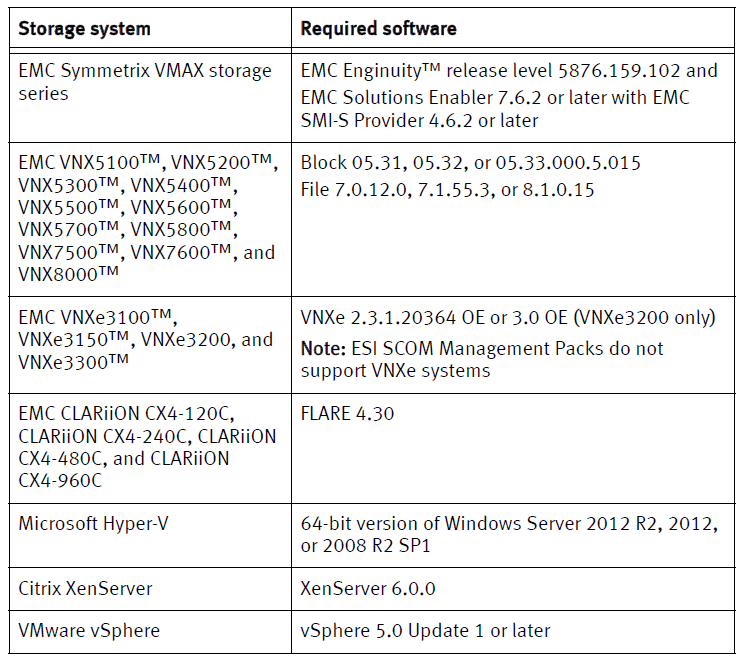 ESI supports the EMC Symmetrix® VMAX® series, EMC VNX® series, EMC VNXe® series, and EMC CLARiiON® CX® fourth generation (CX4) series of storage systems. 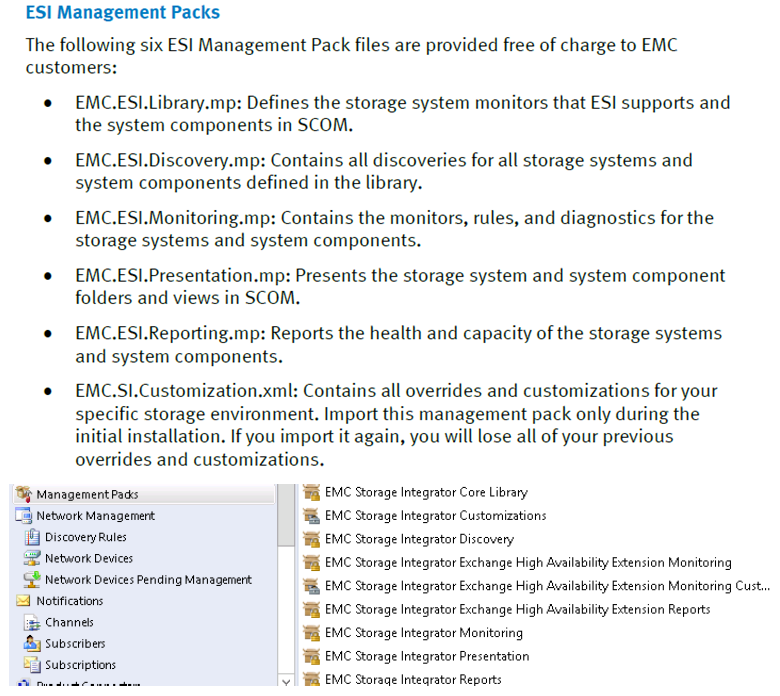 ESI requires that you install the applicable adapter for your specific storage systems. Most customers might not deem their email as a tier 1 application, but just wait till it is down. Email is by most definitions is an important business application and should be treated as such. How long can your business survive without communications to your customers, partners, or employees? 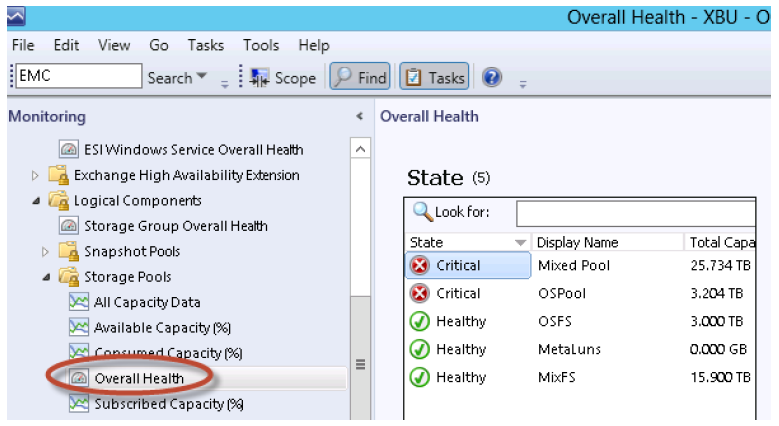 Would you put your other business critical applications in the public multi-tenet cloud? > Microsoft’s “Exchange Online” becomes “Exchange Offline” as service goes dark.